As the sun turns around, big surprises await us. 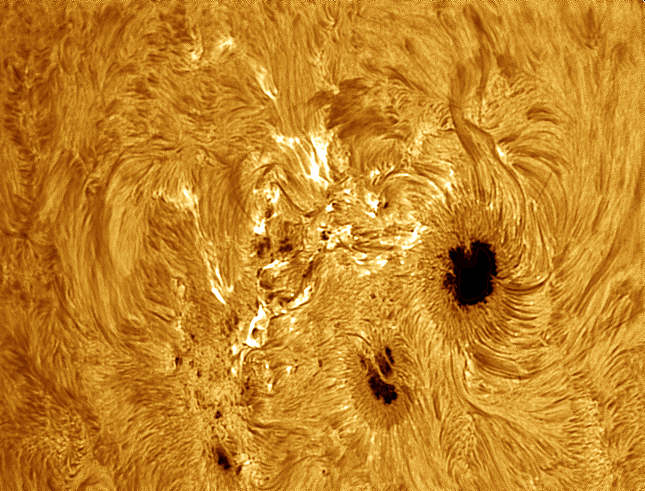 These images show Sunspot Region 1944 in its full glory, having many many sunspots in all shapes and sizes, indicating very complex and strong magnetic activity. 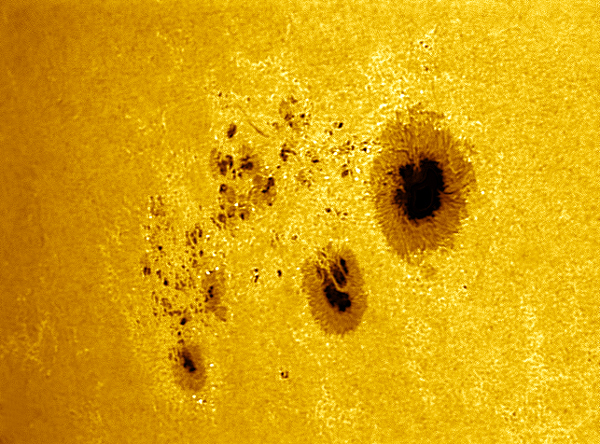 I tried a different setting of the doppler tuner of Lunt 152 today, one view showed a more white light like solar disk, the other a typical hydrogen alpha image.. this is new to me. Doppler tuner has so much to offer!